"There has to be strict controls in place," a spokesman said. "There's a terrifying possibility of people just being able to ... dig a hole and put granny in it and put some flowers in it. It raises all sorts of obvious questions about procedure." Terrifying? Like when a beloved pet expires and is buried in the garden? It'd be a whole lot cheaper than current procedures, good for the earth and a more peaceful ending than cremation. With the way families are these days, distributed all over the world, frequently remarried with complicated family relationships, cemeteries aren't as user-friendly. Nearly 45 per cent of respondents supported charter schools because they felt they would provide a different approach to education. A finding from a recent Herald Digi-poll. I was having a conversation with an ex ACT staffer about the charter school policy just the other day. He said he was surprised that Labour didn't constantly refer to the charter schools as "ACT's" charter schools thus demonising them in the public eye. I said I thought the policy was actually reasonably popular going on what I'd seen and heard. Then he speculated that's what Labour's polling might be telling them and to tag them ACT's schools would actually accrue credit to the party. It's a possibility given the above result. I'm in favour of a different appproach as well. But my gut feeling is the upbringing and home environment is the bigger factor in educational failure. We frequently hear about the 20 percent that come out of the education system without qualifications. And I constantly talk about the 20 percent of children who go onto a benefit at birth or shortly after. The proportion has fluctuated between 18 - 25 percent over the last couple of decades. What's the correlation or overlap? As a research project it's doable but not by me. A team would need to identify a group and examine their benefit histories, so privacy issues would come into play. I was thinking about any existing research. Perhaps the Christchurch Health and Development Study. But that followed a 1973 birth cohort. Growing up on welfare was far less common in the seventies. In 2028 or thereabouts, the Growing Up In New Zealand Study would have the data but that's a long time to wait. And as I've observed before, the study already has considerable drop-out and those children are most likely to be on welfare and transient. Of course, any results would be discounted by the opposition as down to poverty and not welfare dependence ... but my, it would be fascinating to know what the overlap is. This is a table for Bill at the Standard. 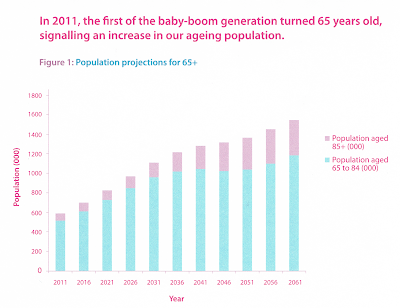 This was published in a report released yesterday about older New Zealanders. 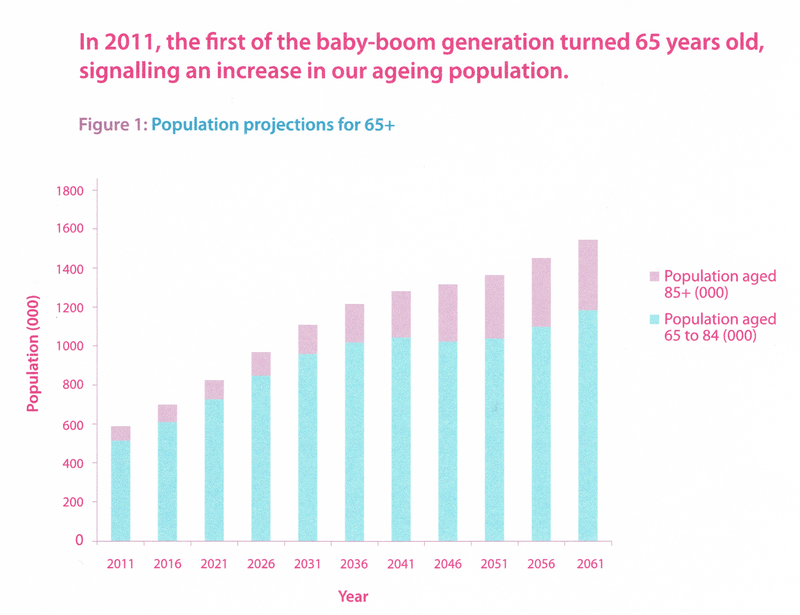 The graph is headed with "Opportunities created by our ageing population". They are mostly 'broken window' opportunities though. That is, most of the opportunities identified require resource taken from somewhere else to fulfil them. It all smacks of too much government and as one of the people who will be part of these statistics, makes me feel slightly nauseous. We need to decrease the burden the aged will impose, not increase it. That or open our doors to young immigrants which ironically enough is generally resisted by the elderly, Winston's mob in particular. and businesses to develop and enhance services, economic opportunities and living options. 2,000 benefits a week cancelled! "On average 1500 benefits are cancelled every week because people get work, with another 2000 cancelled weekly for a variety of other reasons." That’s 2000 people every week who do not have jobs having their benefit cancelled.That’s 2000 people, bashed and vilified at the best of times, having the safety net pulled out from under them every week and left without rent money or food money or any obvious means of support. 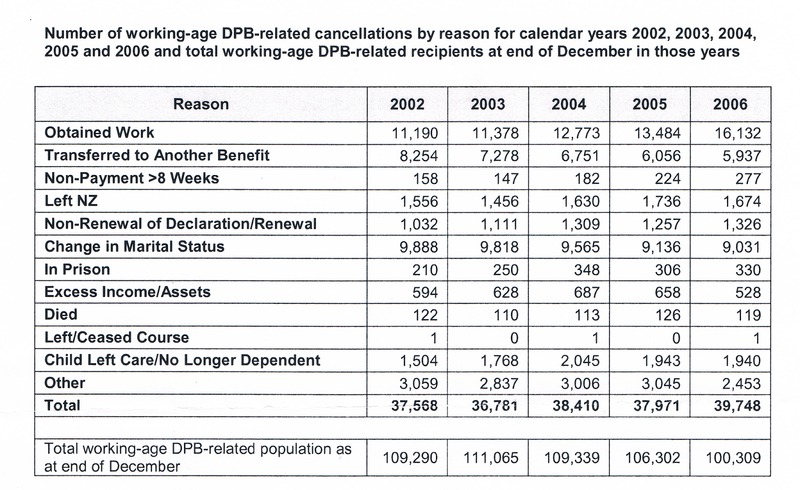 In the April to June quarter 2013, 69, 043 people had their benefit cancelled. 213 people a week had their benefit cancelled due to a change in marital status; 74 because they went to prison; 266 because they became a full-time student; 49 because they passed away; 180 because they left the country; 76 because they had excess income or assets; 751 because they didn't renew, or contest a non-payment; and 34 because a child in their care was no longer dependent. Only 136 had their benefit cancelled because they didn't meet work obligations. I wonder how many benefits were cancelled under Labour? 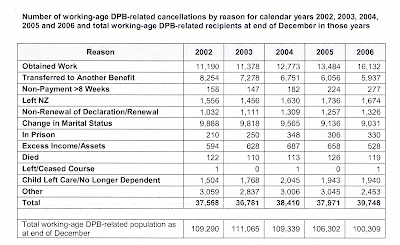 Under Labour 1,956 a week people a week had their benefit cancelled with no job to go to. UK ending the "something-for-nothing culture"
THE long-term unemployed are to be put into community service, made to look for work every day or be put on a programme to tackle their underlying problems in a dramatic toughening up of the welfare system, Chancellor George Osborne will announce today. In his address to the Conservative Party conference in Manchester, Mr Osborne will say that the option of simply signing on to receive unemployment benefits will end within months. The Chancellor will promise an end to “the something-for-nothing culture”, in a move that is expected to go down well with Tory members. The £300 million “Help to Work” package will see 200,000 people who have been unemployed for at least two years, including more than 20,000 Scots, being forced to work for their benefits or attend intensive programmes aimed at getting them a job. The programme is set to be rolled out in six months, and Mr Osborne will tell Tory members that it is part of his strategy to make the economic recovery last. In a conference where the Tories are pitching themselves as the party “for hardworking people”, the Chancellor will explain that he is an “economic optimist”, but tell delegates he is offering an “economic plan, not a quick fix”. And in a direct rebuff to Labour’s attacks on falling living standards, he will warn that “without an economic plan, you do not have living standards”. The unemployment initiative was last night condemned by Labour as a return to the spirit of the workhouse, as strict new rules will see people lose their benefits if they do not follow the programme. From April next year, people claiming Jobseekers Allowance will have to either do full-time community work, attend the jobcentre and search for work every day, or be placed on the new Mandatory Intensive Regime – a tough programme which will see claimants with problems such as drug addiction or mental health issues attend jobcentres regularly to tackle the difficulties which stop them working. They will regularly meet specialist advisers to deal with their individual problems. If they fail to do one of the three options they will lose their benefits, at present worth up to £71.70 a week. Mr Osborne will boast that the scheme is the first across the UK which will see people forced to work or lose their benefits. The Chancellor will argue that under Labour, people were left “trapped on benefits”, with 1.4 million people in 2010 having spent nine out of the previous ten years on benefits. Recent statistics from the Office for National Statistics reveal that Glasgow has a higher proportion of workless households than any other part of the UK, with 30.2 per cent of homes in the city being workless. The figures showed huge disparity across Scotland. Only 12 per cent of households are out of work in Aberdeen and Moray, in contrast to many parts of west-central Scotland, such as North Ayrshire, where 28 per cent of homes had no-one working, and Inverclyde, where the figure was 25 per cent. Maybe I am mistaken but I always thought that "freedom and free markets" stood alongside open immigration. Call it pragmatism if you like but politicians only ever sing from the right song sheet to the extent that it aligns with popular beliefs - and getting re-elected. An article from Stuff at the weekend described research into the increase in babies dying from head injuries. The number of babies dying from deliberately inflicted head injuries increased almost four-fold since 1991, with damage seen akin to that suffered in car accidents, a new study says. In the first study of its kind in New Zealand, researchers examined data from Auckland's Starship Hospital and the Auckland city forensic pathology department, examined clinical records, autopsies, and police reports from 1991 to 2010. At the end the Children's Commissioner comments. Wills said over the 20 years studied, several factors could have led to the dramatic increase in inflicted injuries, including a sharp increase in teenage pregnancies, sole parenthood, and most likely an increase in domestic violence. 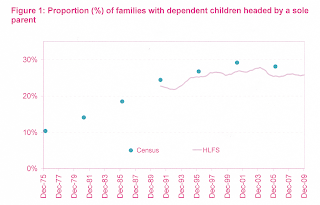 I'm not denying that teenage births and sole parenting are factors in child abuse, but it's the dysfunctional welfare lifestyle that often accompanies these circumstances that's the problem. 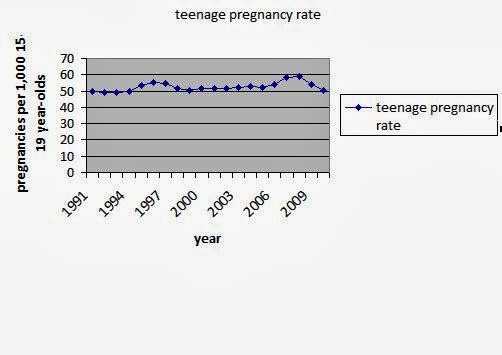 There were more teen pregnancies and births before the DPB but back then society dealt with them in a way that improved the outlook for the babies. Not the opposite. The genie got out of the bottle in the seventies. 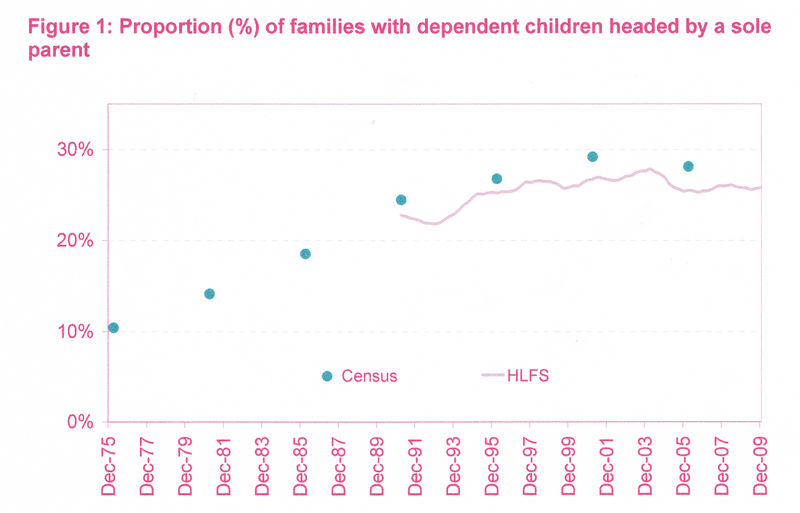 The last twenty years have seen something of a stabilisation in numbers but intergenerational dependency has continued to increase.